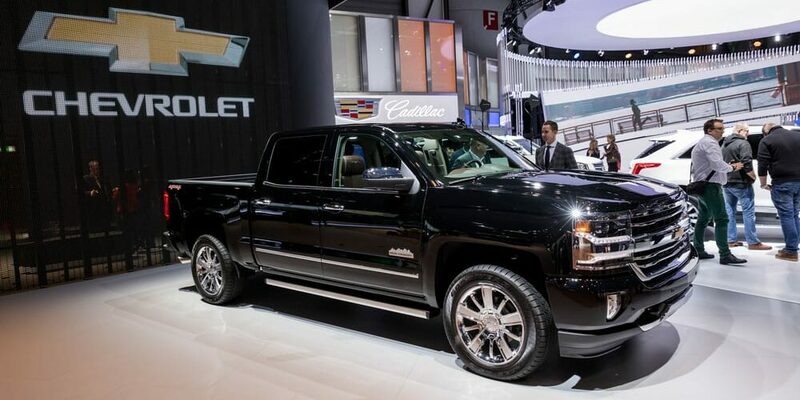 Best Cold Air Intake for Silverado: 5 Top-Rated in April 2019! Best Cold Air Intake for Chevy Silverado: A 2019’s List for Your Convenience! Hi, I’m Ken Coul your online auto mechanic and overall aftermarket fanatic. This time I am going to present you with a review of cold air intake for Chevy Silverado 2500. Now, before we discuss all 2015 Chevy 2500 6.0 cold air intake features, let’s understand what a cold air intake is. Air intakes are the part that delivers the air to the fuel-air mix that an internal combustion engine uses to ignite to drive the camshaft. 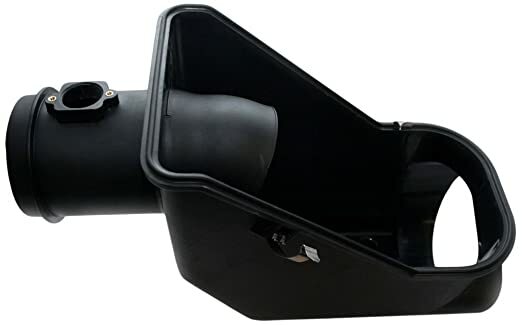 Essentially, an air intake is the delivery method for the air, and as with any delivery method, there are the bad, good and excellent performance parts. 2. 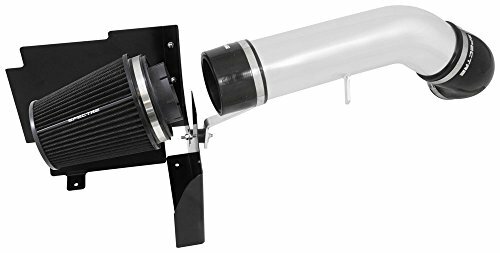 K&N Performance Cold Air Intake Kit 77-3086KTK This is the K&N 77-3086KTK Air Intake kit for all 2016-2017 Silverado 2500/3500 models. Now, all factory-built air intake parts are good; they deliver the air as the manufacturer wants for reaching OEM performance levels, however, for some of us, this is just not enough. That is why the aftermarket is flooded with replacement parts. To understand which kit to buy, you need to understand the difference between the air intake systems available and also keep away from cheap products that will deliver bad properties. These are the OEM parts, oh, OEM= original equipment manufacturer. These parts are created to deliver a quiet (muffled) sound and use paper filters. These are aftermarket kits that are designed like mini ramjets. They scoop up cold air through a simplified system with minimal bends but a long duct that provides cool air and increaser the engines combustion performance. Short ram air intakes have a shorter intake duct, as such they ram into the engine warmer air, but in higher amounts. This increases the combustibility of the fuel-air mix and is found in racing applications. Now let’s look at the cold air intake kits that will improve your car’s performance. Remember, the cold air intake kit is an improvement on the OEM replacement kit, so you will gain more efficient burn, increasing your HP and torque. 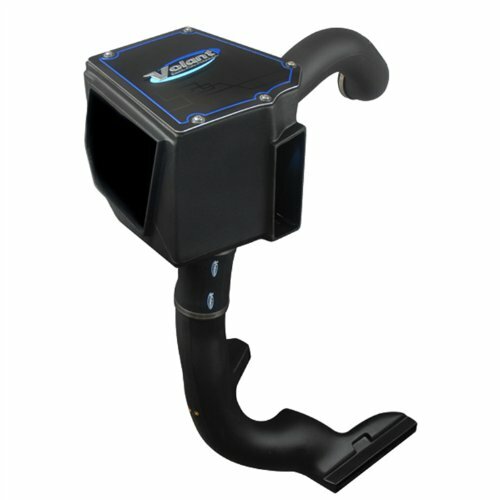 The Volant Cold Air Intake System is a powerful upgrade to your engine. So, how much horsepower does a Volant cold air intake add, well it seems that it adds 18 HP, 40 ft/lbs of torque. This kit comes with Pro 5 cotton-gauze filters that require cleaning only every 35,000-50,000 miles. Or, you can opt for the oil-free PowerCore® air filter that only needs cleaning once every 150,000 miles. The ducts are made of a molded polyethylene material. 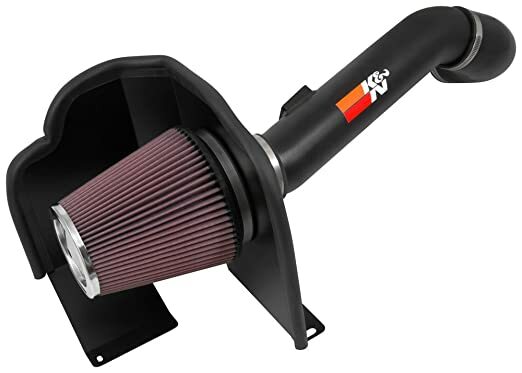 The K&N 77-3086KTK high-flow performance air intake kit is constructed out of mandrel-bent aluminum tubing. This material acts as an extra cooling agent due to its heat dissipation and transfer properties. This kit is also designed with two performance factors in mind, the distance between maintenance and sound performance. After installing this unit, you will get a lower distinctive rumble and will only need to maintain the system once every 100,000 miles, with a washable air filter. This model will increase your horsepower and improve your throttle response time. The free-flowing aluminum tubing replaces the OEM perfectly, and installation time is around 90 minutes. You will always get an improved HP and torque performance when installing a Spectre air intake system. This kit comes with some impressive features, including the proprietary Black Spectre air filter, a very show off polished aluminum tube system, and black powder coated heat shield contrasting the polished aluminum finish. 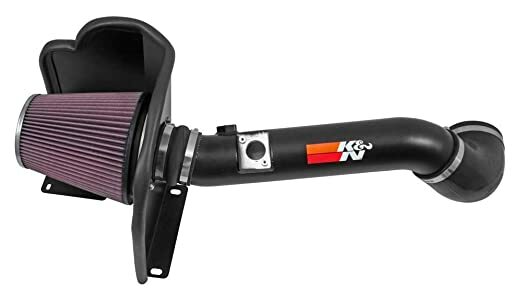 This is another K&N triumph, this time it’s their 77-3090KTK high-flow performance air intake system which is also constructed out of mandrel-bent aluminum tubing. This material acts as an extra cooling agent due to its heat dissipation and transfer properties. The Bully Dog #53207 Plastic Rapid Flow Intake is a perfect replacement for an OEM part. This unit is a very lightweight all plastic alternative and improves the HP and torque by increasing the air intake of cool air via the reusable 4-layer cotton gauze filter. There is not much to add to this basic model, it’s a pinnacle of engineering using plastics rather than metals, and its unique smooth design makes installation fast, the whole kit is easy to access, and it is one of the lightest models on the market. 5 reasons to replace your air intake system? Now that you have seen the list of the 5 best cold air intake kits for your Silverado, I resent to you the 5 reasons why you want to replace your stock OEM part. A good air intake kit will increase your engine’s performance, it actually increases the air-fuel mix and causes stronger combustion which leads to faster acceleration. Essentially, a good cold air intake kit will increase your vehicle’s power anywhere from 5HP to 20HP. When you increase the air-fuel mix, you essentially reduce the use of fuel while the performance of the vehicle is enhanced. You get more power per cycle which relates to reduced fuel consumption per cycle when traveling any distance. Paper filters are cheap, and that is why manufacturers use them. It is always better to improve your vehicle’s performance by improving the materials used. One of these materials is the paper filter, which you can improve with a cotton filter. These filters last longer, requiring on average a cleanout once a year for standard Sunday drivers, or once every 35,000 to 50,000 miles for professional or car enthusiast drivers. Do you like the roar and rumble of those pumped up motors? One of the contributing factors is the air intake system. By replacing your OEM kit with an aftermarket cold air intake kit, you will improve the sound coming from your engine and in some instances even reach those deep bass rumbles that are felt more than heard. Consider the first four reasons, now combine them, and you get the fifth. An overall optimized improvement in performance reached by replacing just one part of your motor, the air intake unit. A cold air intake replacement will improve your cars fuel efficacy, give you a nicer engine sound, increase your acceleration and throttle power and deliver an overall better driving performance.